Every year, more and more accumulates in my house. It seems when the holidays hit, I get overwhelmed thinking about where we’ll put gifts that our family and friends so generously give the kids. 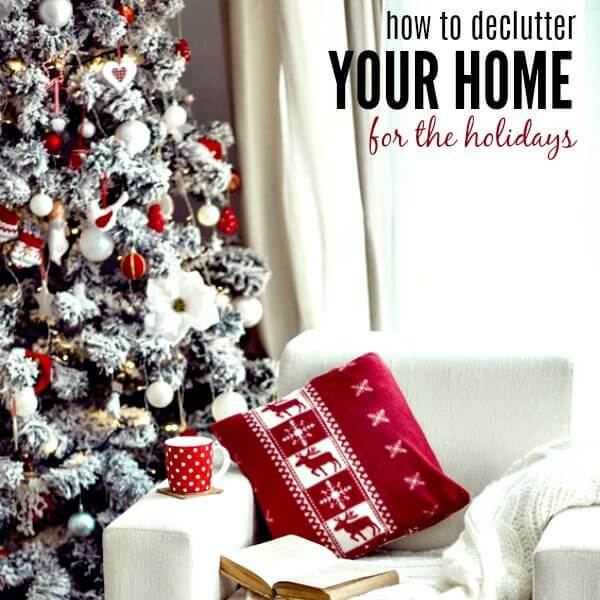 I’ve found that the key for my family is decluttering our home before the holidays roll around. 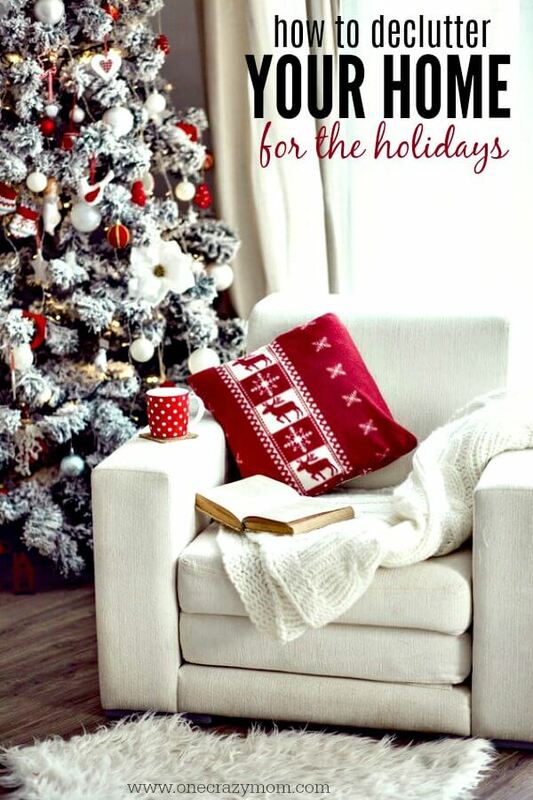 If you can start early to declutter the house, it is so much easier going into the holidays. How do I start to declutter my house? We like to start the process to declutter our home around Thanksgiving. In fact, we often try to start a little sooner to have even more time to focus. Break it down into small steps so that you do not become overwhelmed. If you try these 5 steps below on how to declutter your house, it will be very simple and easy to get this done. By following each of the decluttering tips, you will be able to tackle each room in your home. From your home office and laundry room to your medicine cabinet and kitchen cabinets, it will all be clutter free. Get started decluttering with these baby steps so that you do not feel overwhelmed. Keep a trash bag with you so you can start de cluttering and put the items in the bag to send out of the house. It is a good idea to have a few cardboard boxes to put the items that might be heavier and one also for items that need to go to the recycling bin. Learn how to declutter your home fast! We are a big family with 8 kids and this has really helped us. I’m sure this will help you as well. Here’s what works for us! How can I declutter fast? Start where you are at and go from there. Don’t spend a lot of time analyzing items. The goal is to be able to declutter fast and that means finding a place for each item. If you don’t have a proper place for it, it is probably time for it to go. You can declutter house in 30 days! Ready….get set…Go! Let’s get started learning how to declutter your home fast. How to declutter your home with 5 Easy tips. 1. Start with the holiday decorations. We put out our Christmas decorations right after Thanksgiving, and each year, we pare down a little bit. We have the items we put out every year no matter what, but we also look through what we have to toss or recycle anything that is broken and donate things that are still in good shape but no longer our style. I try to do this as we decorate for each holiday throughout the year, too. This helps to reduce old decorations we no longer use and cut down on clutter in the holiday decorations storage box. Since we’ve now started to wear our warmer clothes, I ask the kids to go through their closets to find at least a bag’s worth of items they no longer want to wear or that they’ve outgrown, and we donate them. Make sure to have each family member do this so you can find what they don’t wear or doesn’t belong in the closet. A big benefit of purging this time of year is that others may be able to give our gently worn items as holiday gifts for their own family and friends. Make it a habit to purge outgrown or no longer needed clothes to get them out of your house. Go thru the closet with the hanger in hand so you can hang items that might have fallen. 3. Get control of the toys. Spend a Saturday going through all the toys in the playroom, bedrooms, the basement, and anywhere else toys live to match pieces and reorganize. Once you know you’ve unearthed everything (we literally put everything on the floor in one of our main living spaces so it’s easy to sort), toss toys that are missing important pieces and dried out Play-doh. Collect toys that the kids no longer play with for donation or take them to the local kids’ resale store to get a little extra spending money. Holiday baking means getting out the baking supplies from my pantry. That also means finding the brown sugar that is now a block and expired chocolate chips. Toss anything that is past its expiration date and take inventory so you know what you need to buy. Make sure to do this before you go to the store – otherwise, you’ll just buy things you already have and make the problem worse (here’s an app to help)! 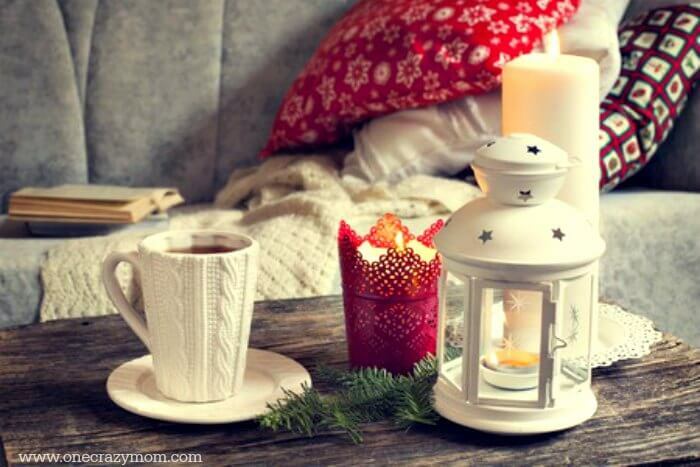 Just as you sorted through decorations before putting them out, do the same as you return everyday items to their normal places in your home. Have an objective eye about items that aren’t in the best of shape or you keep around just because it’s always been there. There’s no time like the present to rethink those items and see if they still bring you joy. It’s amazing how you will feel after you declutter the house. I know when my home is filled with too much stuff it makes me feel like the walls are caving in. Now that you know how to declutter your home and your life, the stress will be lifted. Hopefully you can have a holiday season more focused on the things that really matter the most! Give these decluttering tips for hoarders a try today! Removing clutter does wonders for your mind, not to mention your sanity as you welcome new treasures into your home. Clear some space now; you’ll be glad you did. No need to hire a professional organizer with these amazing tips. You can get the job done and instantly feel better. Your home will be more organized and run more efficiently. It is a win for everyone. The stress will be lifted of running around trying to find items that are not in their places or rummaging through items that do not fit any longer. Everyone will be happier and your daily routines will be much smoother for the entire family. Leave a comment and let us know how it goes for you! Please share any tips you have on how to declutter house and unwanted items. If you are looking for non toy Christmas gift ideas for kids, we have compiled a list of fun ideas sure to be a hit that will leave lasting memories and not add to the toy clutter at home. Learn how to make salt dough ornaments for the perfect afternoon craft. They also provide lasting memories that you can cherish for years to come.